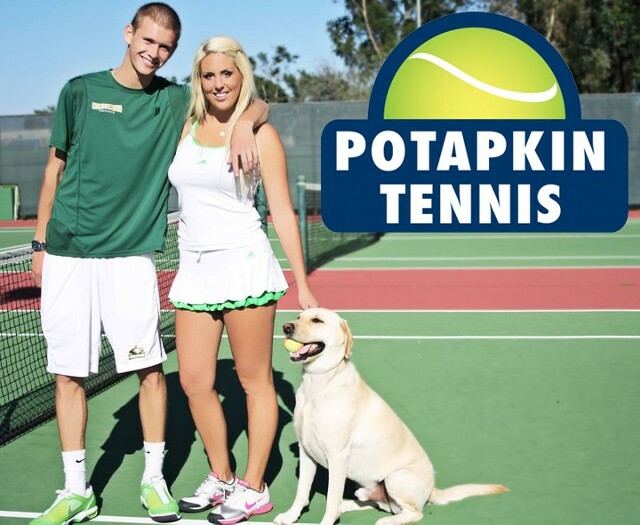 Become Great Potapkin Tennis Potapkin Tennis offers tennis lessons in both Irvine and Newport beach in beautiful Orange County. We are a family run business that focuses on tennis technique, footwork, strokes, grips, and all other aspects of becoming a great tennis player! Welcome to Potapkin Tennis! Our goal is to provide every Tennis Player with the proper technique- because we believe great technique creates a great player! 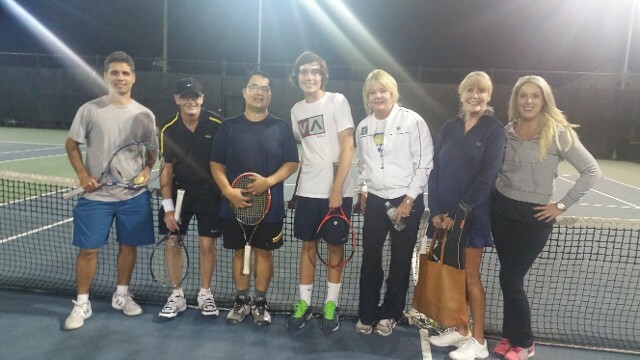 We are located in both Irvine, and Newport Beach- we offer high quality private lessons, group tennis lessons, as well as clinics for various ages and levels. This is a husband/ wife business started when we met playing College Tennis at Concordia University in Irvine. As full scholarship College Tennis Players, we know what it takes to create high quality tennis players! Andrey Potopkin is originally from Moscow, Russia. While in Russia, he was top 10 in the country. He came to the US as a young junior player at the age of 16, and attended the prestigious Weil Tennis Academy in Ojai, California. In Boy's 16's he was top 10 in So. California, and in Boy's 18's top 20. Andrey attended college at the University of Idaho, Division 1. There, he played No. 1 on the team, was a nominee for Rookie of the Year, First Team All-Western Athletic Conference Singles Honors, Doubles Second Team all-WAC, 23-8 singles record overall while playing No.1, and finished second at the MCC Clay Court Collegiate Invitational. His last three years were played at Concordia University in Irvine, Ca. There he also played No. 1, and The Concordia Eagles were top 15 in the nation. Andrey also reached No.2 in GSAC singles rankings, received Division ll GSAC Honors two years in a row, and competed in NAIA Nationals. Andrey has a bachelors in Marketing, and his Masters in Business Administration from Concordia University. 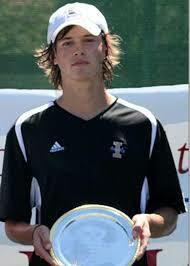 In addition, Andrey holds a 5 year degree in Tennis from Moscow University School of Sports. Andrey is a top Tennis Instructor, as well as a great player. He has taught all over the world, and specializes in private lessons, and his biggest focus is to reach perfect technique. With great technique comes a great player! Casey O'Connor Potapkina is a Southern California bred player. In high school Casey had an overall record of 117-3, and went to CIF all four years. As a junior player, Casey won over 20 tournaments in Southern California, and was top 60 in California in the 14's, 16's, and 18's. Her first two years in college, she attended Sonoma State University in Northern California on a full scholarship where she played No. 2 on the Women's Tennis team. During this time she earned NCAA Second Team Honors, and competed in NCAA finals. Her last two years were spent at Concordia University in Irvine, where she played No. 3. Concordia University was ranked 7th in the Nation during this time. Also, Concordia University's Women's Tennis team competed in Nationals both years. Casey graduated in 2011, and has a bachelors degree in Communication. Casey has also taught Tennis all over the world, and knows what it takes to become a great tennis player! Our clinics focus mainly on technique and footwork. This is essential in all levels of Tennis- from beginners to pros. Our clinics include, but are not limited to: footwork drills, match play, doubles play, live ball, dead ball, strategic games, high level of instruction, attention to all strokes, and expert diagnosis. We want to instill the proper way of hitting, along with the joy of playing Tennis. Our kids clinic takes place at Newport Harbor High School from 6:00-7:15 on Tuesday evenings. Ages range from 8-13yrs. "I have been hitting with Casey off and on for over a year. Casey is a true professional, always on time at the courts, and is flexible with times. She has a great attitude, and is great to hit with!" 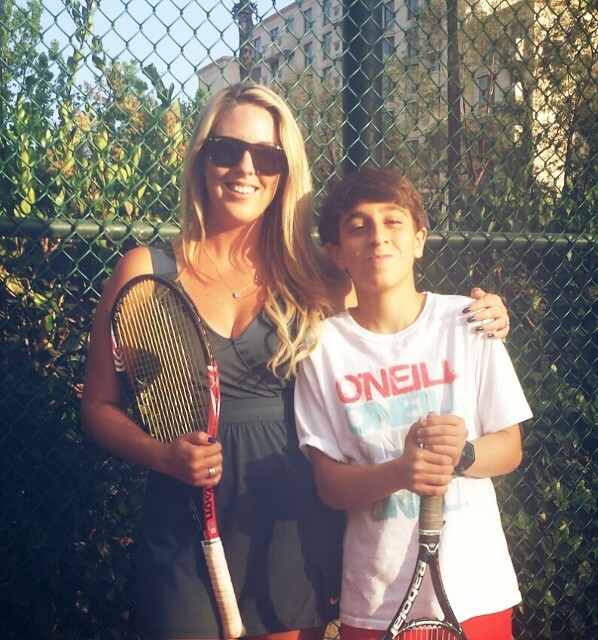 "I have been taking private tennis lessons from Andrey for two and a half years. I had been playing tennis before, but I was looking to become much better. 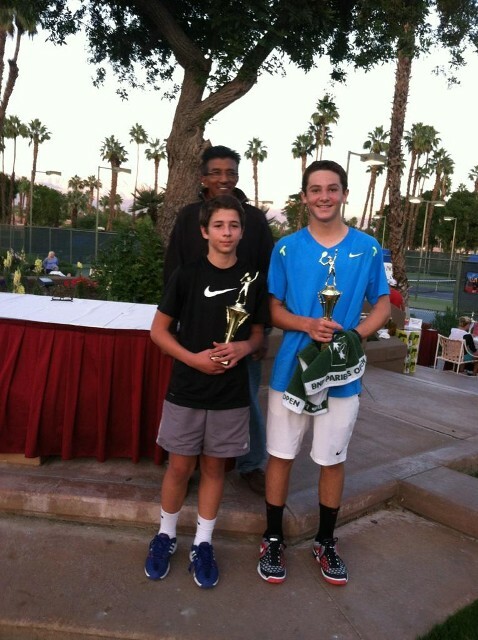 When I began lessons with Andrey, I was ranked 180 in boy's 14's in So Cal. I am now playing in boy's 16's and I am now in the top 100! My goal is to get a college scholarship, and I know Andrey will help me reach my goals!" "I started private tennis lessons with Casey and Andrey about three years ago, and I have also done men's clinics with them. After I graduated from Potapkin Tennis, I can beat anyone in the seniors league!" "When I first started taking private lessons with Casey over two years ago, I was a complete beginner. Now, I play doubles in different doubles leagues. 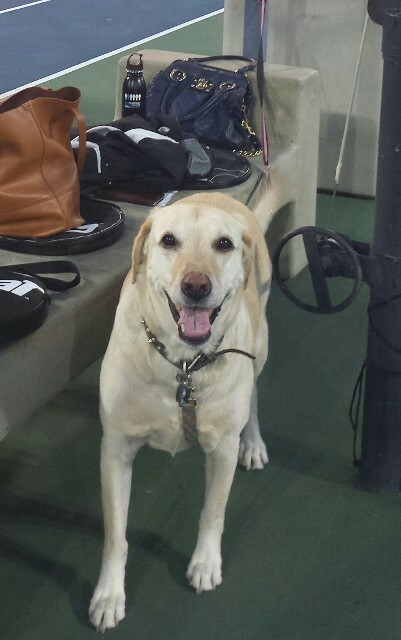 Casey has helped spark the love of tennis inside me, and now I really enjoy the game!" Coach Andrey is an amazing Tennis Coach as well as extremely reliable. He is great with the kids and they are very receptive to his teaching tecniques. We have appreciated his emphasis on proper technique, games and drills. We highly recommend him! Coach Andrey is amazing! Patient and kind with my twin girls, yet doesn't take any nonsense. He also coaches my older son and it's my boy's highlight of the week. Casey is a young woman who is going places. I have known her for several years now and have been impressed with her positive attitude and "can do" spirit. She does not hesitate to accept responsibility and does not limit her efforts on behalf of others. I feel confident that whatever task she is given will be executed with dispatch and alacrity. Serving both Newport Beach and Irvine! Please call for specific locations, and additional information.